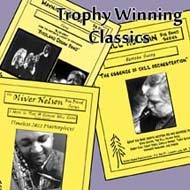 Festival 3-Chart Program - "Trophy Winning Classics"
Just because a big band piece was recorded years ago does not mean it cannot impact an audience of today. With this festival program you will see the power of music that stands the test of time! Your band will thoroughly enjoy performing this exceptional music!